PA chairman urges Latin American countries not to follow in Paraguay’s footsteps and move their embassies to Jerusalem. 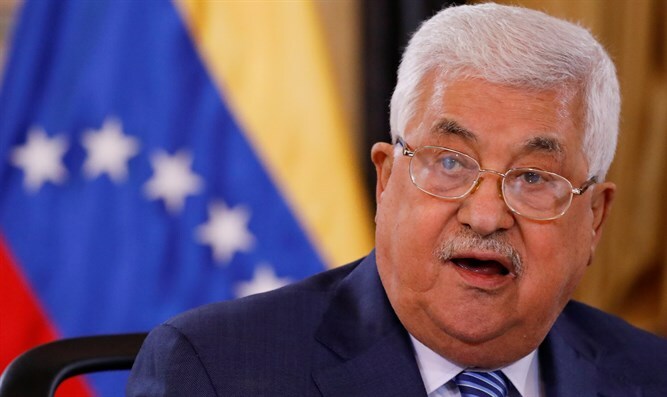 Palestinian Authority (PA) chairman Mahmoud Abbas on Monday urged Latin American countries not to follow in Paraguay’s footsteps and move their embassies to Jerusalem. "We hope that some countries across Latin America won't go moving their embassies to Jerusalem, because that is against international law," Abbas said during a meeting with Venezuelan President Nicolas Maduro in Caracas, according to AFP. Earlier on Monday it was reported that outgoing Paraguayan President Horacio Cartes and his successor are expected to visit Israel by the end of the month to open an embassy in Jerusalem. In March, both Paraguay and Honduras said they were ready to move their embassies to Jerusalem. Cartes confirmed the decision last month, vowing to move the embassy before the end of his term. The Paraguayan move follows the United States’ plans to relocate its Embassy from Tel Aviv to Jerusalem on May 14, the date in 1948 on which the State of Israel was established. In addition, Guatemala is set to relocate its embassy in Israel to Jerusalem on May 16, two days after the United States shifts its mission. During Monday’s meeting with Maduro, Abbas thanked him for rejecting Washington's decision to recognize Jerusalem as the capital of Israel and relocate its embassy.